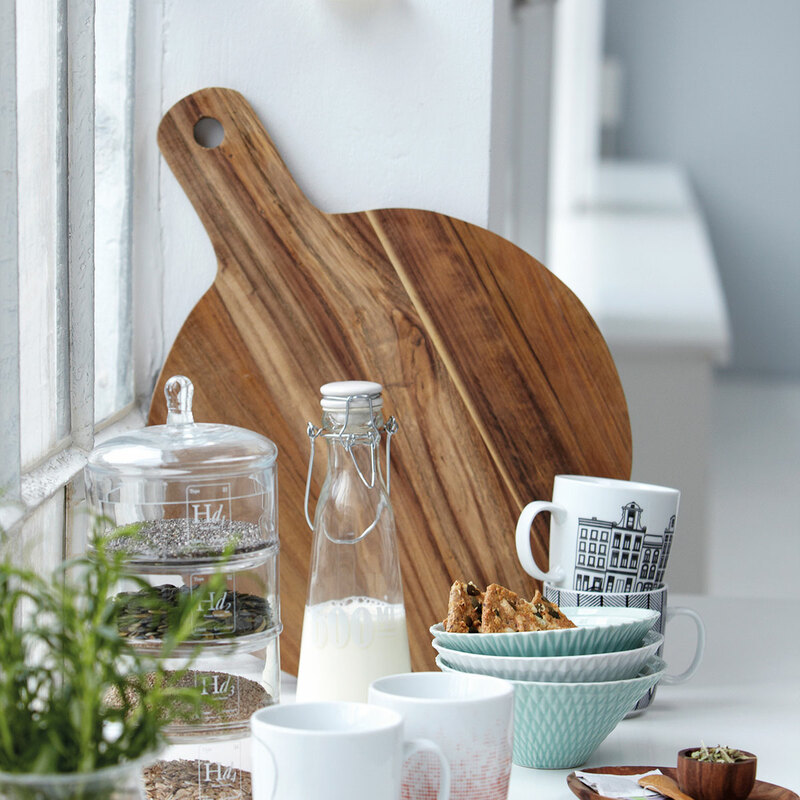 House Doctor cutting board round, a sturdy basic for a Scandinavian or industrial interior! House Doctor cutting board round is a large wooden cutting board. 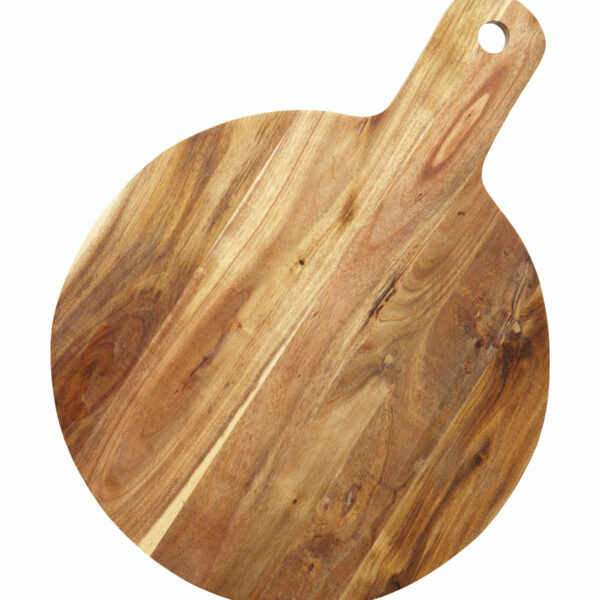 With a diameter of 36 centimeters this cutting board is big enough to cut your favorite pizza. In addition, House Doctor cutting board round is very suitable to serve some delicious tapas. But even without food House Doctor cutting board round is a beautiful sight! Place for example, a few nice candlesticks and tealight holders on it and enjoy a beautiful still life. Wooden cutting boards, you can not have enough of it! Of course, at first to cut on it, but also (and perhaps especially) because they are so beautiful! A collection of wooden cutting boards gives a wonderful decorative effect when you put them up against a wall, for example, on your countertop. No matter how you use this House Doctor round cutting board, he should not be missed in your home! 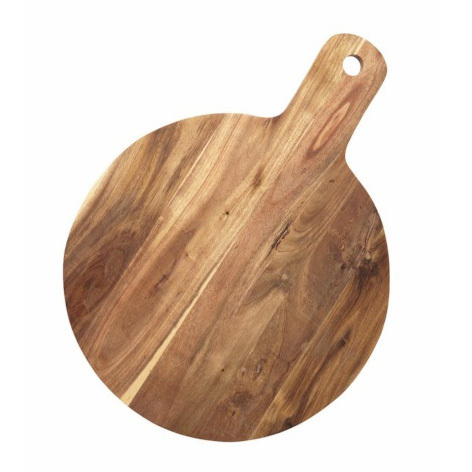 The wooden cutting board of the Scandinavian brand House Doctor has a diameter of 36 centimeters and has a total length of 48 centimeters.